I´m a great believer in habits. 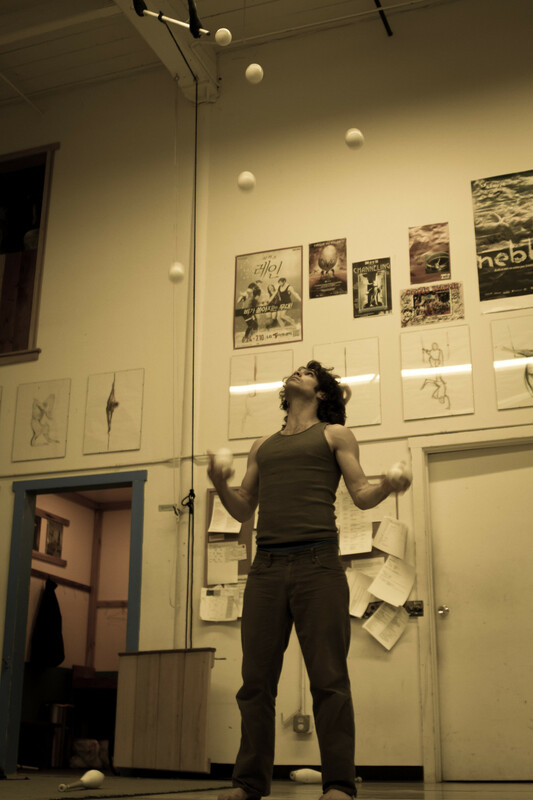 I think of myself sometimes as a habit juggler. I like powerful, practical concepts which have an obvious, immediate impact on life. Things that just click into the gears of life. And you can see the mechanics of the concepts at play. There HAS to be a result. In fact, I like to do away with the science and overly analytically approach to self development, and just ask myself "Can I see a positive difference?" If yes, I keep the habit. If no, see ya habit. Over the years I have picked up and dropped what seems like a gazzilion different habits. Everyone does naturally. I try and get rid of wasteful habits and concentrate on the productive ones. Thinking back now there´s been : eat healthy, exercise, read more books, use your imagination more, meditate, running, write more songs, analyze song structures, concentrate on character, study your heroes, surround myself with high consciousness material, improve your memory, go out with friends more often, learn a language, music promotion, movie blogging, philosophize about life more etc etc. What I mean by habits is just devoting a portion of my energy everyday to some of these ideas to slowly progress that part of my life over time. All in the name of trying to improve the experience of life overall. Some of these habits have more worth than others. I get more of a return, I mean. More bang for my buck. It is really helpful to formulate a big picture mentality and aim for a vision in your mind. So, for example, I will give you a vision of what I would like to experience in my life: I see myself in great shape physically, great shape mentally, having some money to provide a bit more freedom for myself and close family, to have a great understanding of how the world works, to be socially capable, to have fun, to have humour, to have great character, to help people, to create a bit of good feeling in the world, to feel real happiness instead of a mundane sort of "uuhhhh" feeling. So I just pick up and drop habits all in the pursuit of attaining that vision. Ok, so let me tell you the handful of habits that I invest most of my energy into at the moment (or wish to): healthy foods, heavy weight exercise, present moment awareness of a pipeline of understanding (I will go into this in my next post), and working towards and following a real passion of mine (this blog). The thing is that this is such a juggling act, and actually, within these categories are sub categories and even more subcategories. And the key is to be flexible in life too. Sometimes I am forced to reevaluate these habits when other priorities come into play. But with these few habits, they provide a strong foundation for a good solid experience in life.